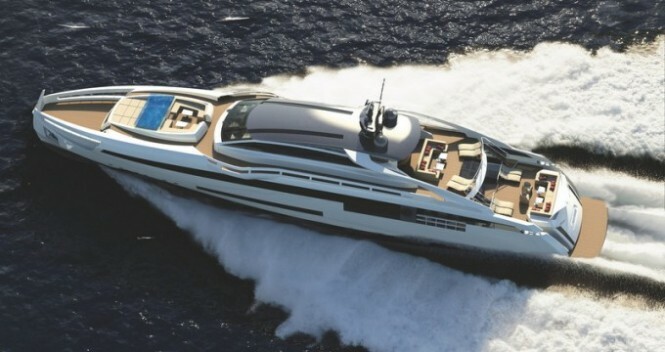 Rossinavi recently launched its second superyacht this spring at its yard in Viareggio. The 49m Aurora has powerful and sleek exterior lines designed by Fulvio De Simoni that draw inspiration from high end sports cars. The entire yacht was designed with the idea of bringing the great outdoors inside and this was made possible by the expansive windows that provide panoramic views of the sea. Rendering by Rossinavi and Fulvio de Simoni. Overall Aurora boasts an open living arrangement which centers around three primary gathering areas including a sunbathing area, expansive dining area and large “beach saloon”. Guests on board Aurora will never find themselves without exciting activities to take part in; the superyacht has a large tender garage that can berth two tenders in addition to a multitude of jet-skis, diving equipment and water toys. 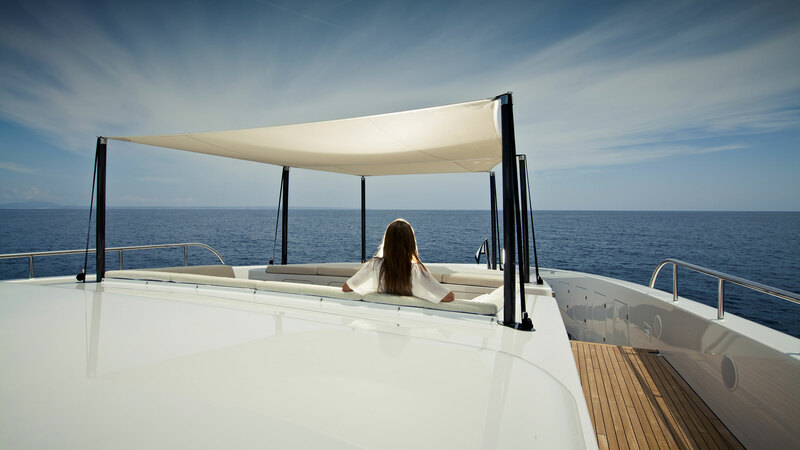 The innovative interior layout is designed by Achille Salvagini and features two master suites on the main deck. Each suite also features its own fold-out balcony to enjoy quiet time lounging directly over the sea with complete privacy. There are three additional staterooms for VIP guests. Aurora has a top speed of 21 knots and cruising speed of 17 knots made possible by twin MTU engines. At a 12 knot cruising speed Aurora has a trans-oceanic range of 3,800 nautical miles.